Paved surfaces need regular upkeep just like any other construction feature. Proper pavement maintenance for commercial and industrial properties means keeping the pavement clean and clear of debris. Well kept roadways help maintain good appearances for customers and employees. They also project an image of order and success. Professional street cleaning services are a worthy investment for any commercial or industrial property owner, so when you want to keep your property looking pristine, contact the team at Champion Sweeping Services today. Our street sweeping crew proudly serves customers in White Plains and throughout Westchester and Fairfield counties. 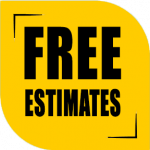 Pick up the phone today for your free estimate on all road sweeping services! We’ll be happy to discuss what our professional street sweeper team can do for your amusement park, technology park, industrial complex, or other large business property. Safety—Your paved surfaces aren’t just for show—they are meant for people to use. Therefore, it is vital that your roads, sidewalks, and other areas are fit for cars, bikes, motorcycles, and people on foot. Gravel, mud, dirt, grass clippings, litter, and other road debris can create safety hazards. However, regular visits from our road sweepers can keep these issues to a minimum. Property protection—A lack of regular attention from a street sweeper can cause cars, construction equipment, and other vehicles to be damaged by running into or skidding through road debris. Environmental benefits—Yes, street sweeping services are also an earth-friendly choice! A road sweeper lifts up harmful chemicals, such as oil, grease, and gasoline, from the pavement and disposes of them in a contained and responsible way, rather than allowing them contaminate the groundwater. Street sweeping also clears debris from roadways, preventing drain clogs that could inhibit proper rainwater drainage. When you choose Champion Sweeping Services, you will receive detailed, thorough workmanship and excellent customer care at an affordable price. Call or email us today to learn more about establishing a street sweeping contract with Champion Sweeping Services.